Last night I had a vision. Anyone who knows action films will know who this man is. When the idea came to me I rushed online to see if it had been done before. I could not find a single shirt. 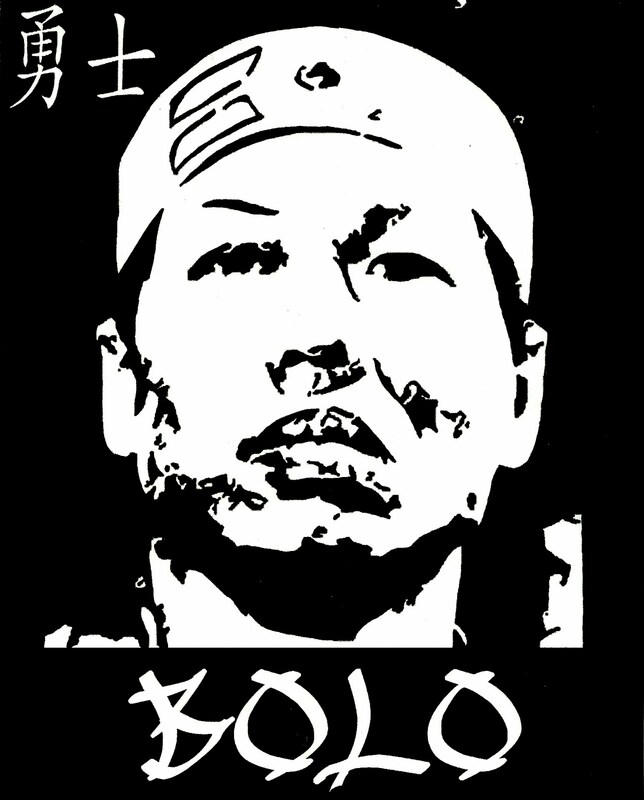 Nobody had paid tribute to one of the greatest martial arts villains of all time, Bolo Yeung. I rushed to my computer when I got home and started to design the shirt I wanted. This wasn’t going to be something I was going to draw free hand, I basically took a closeup of his face and pulled out the color. I placed the symbol for warrior up in the corner and then simply placed Bolo at the bottom. I wanted to keep it simple. I smoothed out the picture by hand with some black ink, scanned it and then prepared it for my transparency. I can’t wait to print this shirt, I love the design.